Hosting a large celebration? You can book the entire Ivy Terrace which includes all of our cabanas (except Paradise Falls), quiet lounging areas and views over the whole resort and mountains beyond. 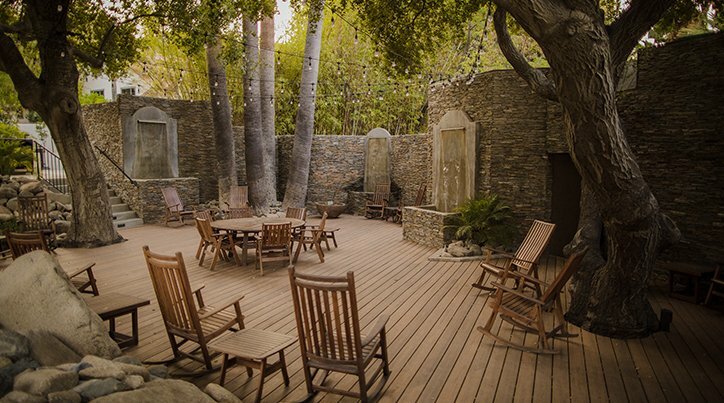 Or host your party in the new Secret Garden. The Garden offers a lovely shaded deck, picnic lawn, cocktail lounge, evening lights and more. 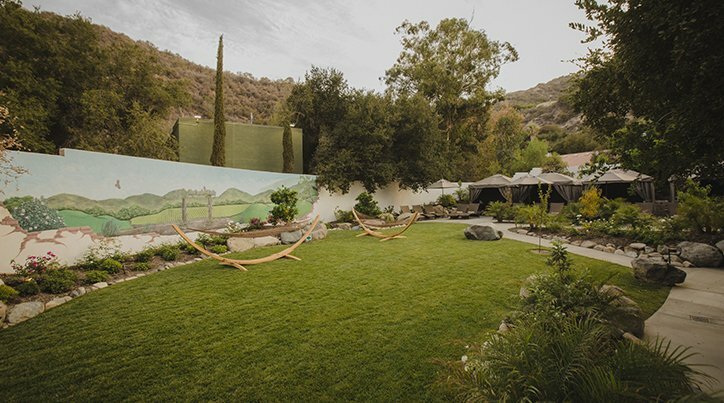 The Garden is always available for weddings, corporate events, fundraisers and large parties. Contact us directly for pricing and to plan your special event. Please note: We are always excited to host your group of 30 or more. However, discounts for groups are negotiated individually and are not always available due to capacity constraints. Group discounts are not available on holidays, weekends between March and October or any day during our Premium season, June through August. Please contact us directly for more information.